Pro Plan brand cat food is manufactured by Nestle Purina PetCare. Nestle recently acquired the Ralston Purina pet food company in a merger that was first announced in 2001. Purina was first founded in 1894, when it was founded by William H. Danforth. At that time, the company was called “Purina Mills”. By 1992, Purina was exclusively manufacturing food for animals. Nestle Purina PetCare has been involved in several recalls, including the recall of many “Alpo Prime” canned dog food formulas. However, none of the Pro Plan dry cat food formulas are currently being recalled. Pro Plan is currently available in eleven different dry cat food formulas, as well as twenty different canned formulas. 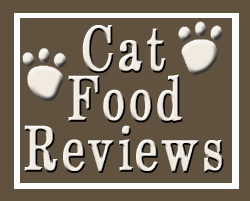 The dry food formulas are available as a 3.5lb bag, a 7lb bag, and a large 16lb bag. This food is considered to be low-to moderately expensive for the original formula, and moderately expensive for the “Select” or Specialized Nutrition formulas. Pro Plan Natural is available in a Chicken & Brown Rice formula, as well as a Salmon & Brown Rice formula. Though the first ingredient of both of these formulas is protein-based, the second two ingredients are relatively high in carbohydrates (corn gluten, rice). The Guaranteed Analysis contains 40% protein and 16% fat. Pro Plan Original is available in a Chicken & Rice formula, as well as a Salmon & Rice formula. Three of the first five ingredients are protein-based, and two of the first five ingredients are carbohydrate-based. The Guaranteed Analysis contains 40% protein and 16% fat. Pro Plan Hairball Management is available in a Chicken & Rice formula, as well as a Salmon & Rice formula. These formulas are designed for hairball-prone cats. The first ingredient for each of these formulas (respectively) is Chicken and Salmon, while the second ingredient is carbohydrate-based. The Guaranteed Analysis contains 40% protein and 16% fat. Pro Plan Indoor Care is available in a Salmon & Rice formula, as well as a Turkey & Rice formula. These formulas are designed for the nutritional needs of indoor cats. The first and fourth ingredient are protein-based, while the second and third ingredient are carbohydrate based. The Guaranteed Analysis contains 40% protein and 13.5% fat. Pro Plan Sensitive Skin & Stomach formula is designed for cats with a sensitive digestive system. The Guaranteed Analysis contains 40% protein and 17% fat. Pro Plan Urinary Tract Health formula is specialized for cats that need additional nutrition for urinary tract health. The Guaranteed Analysis contains 31% protein and 14% fat. Pro Plan Weight Management formula is designed for cats that are overweight, or are prone to becoming overweight. The Guaranteed Analysis contains 46% protein and 8% fat. Most customer reviews of this product are favorable, though ingredients such as corn gluten being high on the ingredients list is not ideal for most cat owners. Because of this, some cats may not be able to properly digest Pro Plan dry cat food, and would do better on a low-carbohydrate formula. The proplan isn’t the best food out there, but it’s not bad. It has high levels of protein, but is also uses cheap ingredients like corn. It’s also pricey for the quality. That being said, my cats go crazy for this food. I feed them the ProPlan indoor turkey and rice. I have 6 cats and it is the only food that all 6 of them will eat. they just love the taste. I can set out 2 bowls of food, one with the ProPlan, one with any other food out there. the ProPlan will be empty and the cats will be meowing for it to be refilled while the ohter bowl is still full. Our cat LOVES her Pro Plan… or she just loves to eat! We feed a mixture of the Indoor Care Salmon with the Weight Management (50:50) because she is an indoor cat and had gained some weight. She eats voraciously. We have an automatic feeder and she runs for her bowl when she hears the gears turning. Previously, I had begun to think that I could ‘do better’ and buy our cat another food. We tried Blue Buffalo and got lots of diarrhea and gastric upset. Purina Pro Plan just works for her- her coat is shiny, eyes are bright, she’s happy, and my wallet isn’t hurting because the food is affordable- especially when Purina sends out coupons! Purina seems to be having a infestation problem at their plant. I usually buy the Pro Plan, but I’ve had bugs in the bags lately. The store I bought it at said that they have had a lot of complaints on ALL the Purina brands. Look out for little black bugs that fly, & their larva (small white worms). The larva came out of one of the bags I bought & ate into my carpet. Not to mention it was absolutely gross! They are not obvious at first, so look through your bag! My two cats, 2 yrs. and 4 yrs., began throwing up out of the blue, the younger one first then the older one started, four and five times a day. I have fed them Purina Pro Plan for years. After many trips to the vet and innumerable paper towels, I started giving them Science Diet hairball food because the only thing the vet could think could be was hairballs. Well I mixed the two, the cats ate all the Science Diet nuggets and left the Pro Plan nuggets. I started giving only the Science Diet and after a day and a half, there were no more throw ups, and there hasn’t been one since. This was about two weeks ago. I am pretty sure it was the food.